VW declined to comment on whether it had recruited Stackmann. 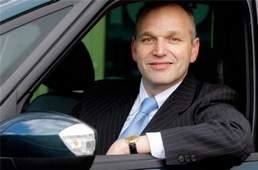 Ford said in a press release that Stackmann, 48, had left the automaker "to take up a new post outside the company." Ford has a 7 percent market share in Germany with new-car sales of 51,300 in the first three months. Germany is Ford's third-largest European market after the UK and Italy.